The decision to buy a camera can be a daunting one. Depending on what camera you are in the market for, what type of shooting you want to do, and, of course, your budget, finding a camera that suits your needs is not an easy task. Unlike other artistic trades, photography and filmmaking is an especially difficult and expensive industry to devote yourself to. Writers need to have a command of language, a word processor, and creativity to make a living from their craft. Traditional visual artists, such as painters and sculptors, need access to the tools of their trade, whether it is paint, clay, or easels. However, Filmmakers and photographers need a combination of all of these things. Naturally, they need a high level of creativity and vision. They need computers to edit and retouch their work. And, most importantly, they need the tools of the trade: cameras, lenses, tripods, dollies, Steadicams, and more. The amount of kit needed to be successful in the industry – of which cameras constitute just the tip of the iceberg – can seem staggering. This is probably the most obvious reason to rent a camera instead of buy, but it bears repeating that if you are low on funds but still want access to a camera that can produce amazing results renting might be your only option. Even if you are seasoned veteran in the film or photography industry, there can be times when you are both without a camera and without enough money to buy a quality camera. 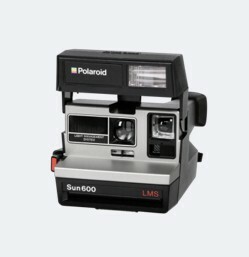 If you are just out of film, photography, or any school for that matter, you can no longer rely on your University’s plethora of high end options. Similarly, if your aim is to freelance or even to start your own company after leaving an already established production company with cameras in stock, you will find that it will not be as easy to shoot at the quality you are used to without higher end cameras. In this sense, renting cinema cameras or DSLR cameras from BorrowFox can be seen as a necessary start-up cost to grow your fledgling portfolio and/or business. 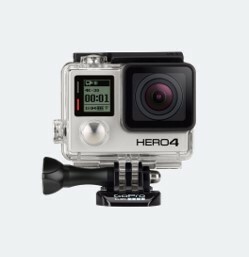 Additionally, while you should, of course, leave the camera you rented from BorrowFox in the same condition that you received it in, renting – especially when it is for shorter amounts of time – ensures that you do not have to spend time and money cleaning and making minor repairs on cameras. While the cost of routine cleaning and repair might seem negligible, especially relative to the cost of the camera itself, if you are already tight on funds the costs can easily build up to make the total cost of camera ownership even less manageable than you thought. As mentioned before, the film/photography business carries with it a high amount of expenses at every level of production. 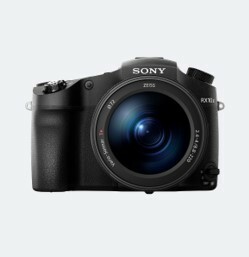 If, as outlined above, renting cameras can be a prudent financial move for professionals in the industry, it follows that for those who feel passionate about the artform but have gone no further than using their phone camera or a less expensive point and shoot, camera rentals can be a great starting point. Photography and filmmaking are not inexpensive hobbies, but it can be easily managed if, at least to start, you use a rental service like BorrowFox. 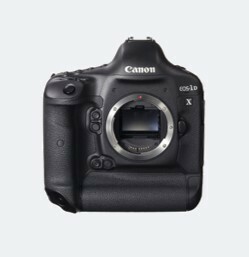 Higher end cameras take a significant more amount of technical know-how so, for many individuals who are excited, but nervous, to try out more complex features, renting can provide hands on experience without breaking the bank. Let’s say, for example, that you have discovered that you have a knack for framing beautiful pictures, but have only experimented with photography on your iPhone. While your photography instincts might be superb, your pictures will never truly reach their full potential if you do not learn the basics of adjusting the ISO, shutter speed, aperture settings, and the other features associated with more expensive cameras. Instead of shelling out thousands for a high quality DSLR because you have an inkling that photography might be a hobby you want to pursue, you could simply pick from a variety of inexpensive rental options on BorrowFox and go from there. The same concept goes for budding filmmakers. The difference between a film shot on a smart phone versus one shot on a professional grade camera made for filming is significant. Renting cinema cameras from BorrowFox can help you dip your toes in an artform that otherwise can be prohibitively expensive for budding hobbyists and newcomers. Despite the high price tags for high quality cameras, both those designed for photography and those designed to capture cinematic action, it is rare to find one that will suit all of your needs at once. While most cameras on the market, at least within a certain price range, can provide all of the features you might need, it is hard to find a camera that can do everything you need at the highest possible level. Let’s say, for example, you already own a Canon 5D Mk 2. The 5D Mk 2 is a solid overall dslr camera, but it performs exceptionally well in outdoor settings, and shines when used in landscape photography. If your work, or your hobby, involves primarily outdoor photography, the 5D Mk 2 would make sense to own outright. If, however, you are tasked by a client to shoot close up, high resolution images, a camera that has greater macro capabilities, such as the Nikon D810, would be worth renting. Again, in this scenario, the Canon can shoot decent macro images and the Nikon can shoot decent landscape images, but neither are exceptional at both. For a small rental fee, instead of shelling out £2000+, you would be afforded the capability to shoot excellent photographs of whatever type of image you seek to capture. The same idea can be applied to high end cinema cameras. 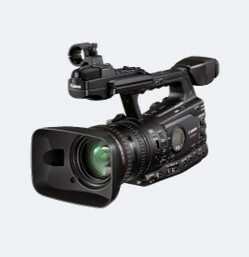 If you happen to own a Sony pxwfs7, for example, you are in great shape as a freelance filmmaker. The pxwfs7 is relatively cheap by cinema camera standards, but still has the versatility to help you create a wealth of impressive content. While the pxwfs 7 is a great all-around performer, an ARRI AMIRA, with a price tag more than quadruple that of the Sony, would produce better results for a documentary film shoot. Luckily, when you rent cameras from BorrowFox specialization does not have to break the bank. Preparation is key in the life of a photographer or filmmaker. Things like scheduling, hiring subjects or actors, avoiding inclement weather, and of course budgeting are the less glamorous, but incredibly important, aspects of the job. Because so much of successful photography and filmmaking relies on things outside of the artists’ control, renting a backup camera can be a great way to cover yourself and your shoot from unpredictable, and potentially unavoidable, setbacks. A pertinent example is if you were booked to film or photograph a wedding. For you, the job could mean a hefty payday as well as a networking opportunity that could bring you more lucrative jobs in the future. For the clients, the wedding is one of the most important days of their lives, and one that they expect to be captured well. If, for whatever reason, your camera malfunctions you run the risk of missing out on payment, taking a hit to your reputation, and ruining your clients’ event. Of course, all of these potential outcomes could be easily avoided if you were to have a backup camera on hand. Buying a second-high range camera as a backup could make a significant dent on your budget. But renting a camera to serve as a backup, especially if it used on occasions that could potentially make or break an important shoot, will ultimately save you money and give you peace of mind. It is clear that there are many instances when renting a camera is simply a better option than purchasing a camera. Budget constraints, learning the craft, specialization, and preparing for the worst, are all times when renting should supersede buying. However, that is not to say that there are not benefits to owning your own camera. If you are a working, professional photographer or filmmaker owning at least one camera is, for the most part, a necessity. Job opportunities can come quick, and you might not always have the chance to rent a camera. When it comes to specializing, or having a backup, rentals can still fill in the gaps, but ownership does insure a sense of confidence in your own brand. Additionally, mastering a camera that you own can be a boon to your work efficiency. With that being said, even if you are making a good living through your photography or filmmaking business, the nature of the industry dictates that there will be lulls in the amount of work you can get. Unlike a traditional 9-5 job, the creative industry can sometimes force you to work for weeks straight without a break or, on the other hand, force an unwanted and unexpected hiatus without a steady income rolling in. During those periods, having your £25,000 RED Helium or your £3000 Canon 5D Mark IV sitting on the shelf can make you feel like your large investment was not worth it. It is akin to owning a rental property: when the flat or house is occupied, the purchase obviously feels worthwhile. However, if the property has no tenant, the investment quickly begins to feel like a money sink. In the real estate world, AirBnb solved this problem. In the high-end camera world, BorrowFox achieves the same thing. Instead of watching your camera collect dust and make no money, you can, through the BorrowFox platform, set your price and connect with other users who are looking to rent a camera for the reasons outlined above. BorrowFox will completely insure your camera for damages, and make background checks on other users in order to provide peace of mind. All in all, renting cameras instead of buying them makes sound financial sense and helps make creativity accessible. Whether you are tight on cash, are just starting out in the industry, need to specialize, feel the need for extra preparation, or are looking to make a return on a camera investment you have already made, BorrowFox is the perfect option for those artists looking to hire cameras in London.